Bangladesh Bank issues Authorized Dealer (AD) license by observing the bank’s performance and also the customers associated with the bank for conducting foreign dealings. So, BASIC Bank Mirpur branch is an authorized dealer. Risk of non-delivery of goods. Risk of receiving sub standard goods. Risk of fraud in goods. To reduce the aforesaid risks an independent system is introduced which will safeguard the buyer as well as seller in an international trade. Actually banks play due role by getting into two parties and bind them. 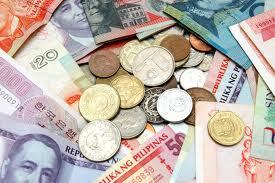 In case of Import, the importers are asked by their exporters to open a letter of credit. So that their payment against goods is ensured. Letter of Credit (L/C) is a payment guarantee to the seller by the buyer’s bank. It is in fact, a Credit Contract whereby the buyer’s bank is committed (on behalf of the buyer) to place an agreed amount of money at the seller’s disposal under some agreed conditions. If the conditions of the credit do not require for presentation of specified documents, it is called Clean Credit. On the contrary, if the presentation of specified documents is obligatory, the credit is called a Documentary Credit. Buyers and sellers enter into contracts for buying and selling goods/ services and the buyer instructs his bank to issue L/C in favour of the seller. Here bank assumes fiduciary function between the buyer and seller. The person or body (customer Of the bank) who requests the bank (opening bank) to issue letter of credit. The bank that opens/issues letter of credit on behalf of the applicant/importer. The bank through which the L/C IS advised to the beneficiary (exporter). Beneficiary of the L/C is the party in whose favour the letter of credit is issued. Usually they are the seller or exporter. The bank, which under instruction in the letter of credit, adds their irrevocable undertaking to that of the issuing bank. It is done at the request of the issuing bank having arrangement with them. The confirmation constitutes a definite undertaking on the part of confirming bank in addition to that of issuing bank. The bank that negotiates document and pays the amount to the beneficiary when presented complying credit terms. If the negotiation of the documents is not restricted to a particular bank in the L/C, normally negotiating bank is the banker of the beneficiary. The bank nominated in the credit by the issuing bank to make payment against stipulated documents, complying with the credit terms. Normally issuing bank maintains account with the reimbursing bank. An importer can purchase the goods directly up to the limit UD$ 5000 from the exporter without opening a L/C through Bank Draft. For releasing the goods from the custom authority by the importer, bank will certify. To import, a person should be competent to be an ‘Importer’. According to Import and Export Control Act, 1950 the Office of Chief Controller of Import and Export provides the registration (IRC) to the importer. After obtaining this, the person has to secure a letter of credit authorization (LCA) from Bangladesh Bank. And then a person becomes a qualified importer. He is the person who requests or instructs the opening bank to open an L/C. He is also called opener or applicant of the credit. A credit Officer scrutinizes this application and accordingly prepares a proposal (CLP) and forwards it to the Head Office Credit Committee (HOCC). The Committee, if satisfied, sanctions the limit and returns back to the branch. Thus the importer is entitled for the limit. Brief description of the goods to be imported with HS code no. Credit available with by sight payment/ by acceptance/ by negotiation/ by deferred payment at against the documents detailed herein/ and beneficiaries draft at on. Shipment by South African, Taiwanese, and Israeli flag vessels/ carriers or any vessel/ carrier calling at any port of South Africa and Israel is prohibited. Radiation certificate is required in case of food items. All charge outside Bangladesh are of account of (importer/ beneficiary). Proforma Invoice/ Indent stating the description of the goods including quantity, unit price, etc. Insurance cover notes with money receipt, name and address of issuing company and the policy number. Initial with date and remarks. Then the transmission of L/C is done through SWIFT to advise the L/C to the beneficiary. Involved parties in a L/C, particularly the seller and the buyer cannot always satisfy the terms and conditions in full as expected due to some obvious and genuine reason. In such a situation, the credit should be amended. Mirpur branch transmits the amendment by SWIFT/ Telex to the advising bank. In case of irrevocable letter of credit, it can not be revoked, amended or cancelled without the agreement of the issuing bank, the confirming bank (if any) and the beneficiary. On the other hand, revocable credit can be amended or cancelled by the issuing bank at any moment and without prior notice to the beneficiary. According to UCPDC 500 L/C must be an irrevocable one. For amended L/C’s, service charge and telex charge is debited from the party’s account accordingly. Advising depicts the proof of authenticity of the credit to the seller/ beneficiary. The advising process consists of forwarding the original credit to the beneficiary. Before forwarding the advising bank has to verify the signature (s) of the L/C opening bank (BASIC Bank, Mirpur Branch). In addition, it ensures that the terms and conditions of the L/C are not inconsistent with the existing regulations. In such a case, advising bank does not undertake any liability. The confirming bank does adding confirmation. Confirming bank is a bank, which adds its confirmation to the credit, and it is done at the request of the issuing bank. The confirming bank may or may not be the advising bank. The advising usually does not it if there is not a prior arrangement with the issuing bank. By being involved as a confirming agent the advising bank undertakes to negotiate beneficiary’s bill without recourse to him. Is the invoice made out in the name currency as the credit indicates? Is the invoice made out in the name of the buyer with the same address specified in the credit? Does the invoice agree exactly with the credit as regards description of goods, value of goods, unit prices & delivery terms? Any special notation, confirmation & attestation were specified in the credit and those have been complied with on the invoice and if required duly signed. Does the invoice evidence the following; shipping marks/terms of delivery/weight data &import license number etc. Is the Bill of Exchange drawn in the language of the credit? Is the bill of exchange properly prepared according to the credit conditions (on a sight or time basis) and drawn on the specified bank? Is it properly dated and signed? Is the amount in figures corresponded exactly with the amount in word? Does it contain all the prescribed notations and clauses? As a rule, the amount of bill of Exchange must agree with the invoice amount (drawn to cover only 90% or 80% of the invoice value. Is the insurance documents specified in the credit submitted? Does the insurance cover the risks mentioned in the credit in the currency of the credit and for the prescribed amount but not less than CIF value? Is the insurance documents dated not later than the shipping documents? Does the insurance policy/Certificate agree with other document as regards description, weight & marks of the goods, mode of transport & the route? Does the insurance company attached and so far as necessary, endorsed issue all the copies? Is the certificate of origin of goods is given as stipulated? Other documents called for in the credit if any such as packing list, weight certificate, consular invoice, inspection certificate etc. to be checked whether drawn and issued in accordance with the terms of the credit. First all the particulars of the documents are entered in the PAD (Payment against Document) register and PAD No. Seal is given on all the copies of the received documents. Reverse the contingent liability and entry made in the liability register. Send an IBCA to the head office. After realizing the charges, the shipping documents are then stamped with PAD number & entered in the PAD register. Intimation is given to the customer calling on the bank’s counter requesting retirement of the shipping documents. Endorsement made on the back of the bill of exchange as ‘Received Payment’ and bill of lading or other transport document is endorsed to the effect ‘Please deliver to the order of M/S——-’, under two authorized signatures of the bank’s officers (P.A. Holder). Finally, documents are delivered to the Importer. The Customer’s account and Margin on L/C is debited and PAD and Head office and other income A/C are credited. In case of LTR, the LTR A/C is debited instead of the PAD A/C. a) Date of Payment: Usually payment is made within seven days after the documents have been received. If the payment is become deferred, the negotiating bank may claim interest for making delay. b) Preparing Sale Memo: A sale memo is made at B.C rate to the customer. As the T.T & O.D rate is paid to the ID, the difference between these two rates is exchange trading. Finally, an Inter Branch Exchange Trading Credit Advice is sent to ID. c) Requisition for the Foreign Currency: For arranging necessary fund for payment, a requisition is sent to the International Department. d) Transmission of Message: Message is transmitted to the correspondent bank ensuring that payment is being made. LTR is post import finance, offered by BASIC Bank Mirpur Branch. From bank’s point of view, it is risky because usually no security is taken. When customer’s commitment is as good as cash, LTR is then issued. Loan is sanctioned based on trust receipt (prescribed form) only. It is allowed for retirement of shipping documents and release of goods imported through L/C. Normally it is forwarded to the industrial raw materials. Interest rate is 15%. So, in this case title and possession of goods both lying with the customer. Bank officials can exercise hypothecation of raw materials. Time period is fixed based on the nature of the goods. The goods are handed over to the importer under trust with the arrangement that sale proceeds should be deposited to liquidate the advances within the specified period. Under the ‘Back to Back’ concept, the seller as the Beneficiary of the master L/C offer it as a ‘security’ to the advising Bank for the issuance of the second L/C. The beneficiary of the Back-to-Back L/C may be located inside or outside the original beneficiary’s country. In case of a Back-to-Back L/C, the bank takes no cash security (margin). Bank liens the Master L/C and the drawn bill is an Usance/ Time bill. On 30/ 60/ 90/ 120/ 180 days of maturity period, deferred payment is made. Payment is given after realizing export proceeds from the L/C Issuing Bank. For Garments Sector, the duration can be maximum 180 days. In case of export failure or non realization/ short realization of export proceeds, forced loan i.e. OAP has to be created in order to settle the Back to Back L/C payment. If the party is paid in foreign currency, B.C. rate is applied in this regard. International Department takes the T.T. & O.D. rate. If the payment is made to ID in local currency in notional rate, ID follows T.T Clean Rate. When the party is be paid, OD Sight rate is followed. i) Filling of E-2/P-2 Schedule of S-1 category that covers the entire month’s amount of import, category of goods, currency, county etc. ii) Filling of E-3/P-3 Schedule of for all charges, commission with T/M Form. d) Qquadruplicate is kept for submission to Bangladesh Bank in case of imports where documents are retired. The other type of L/C facility offered by Dilkusha Corporate Branch is Export L/C. banglade4sh exports a large quantity of goods and services to foreign households. Readymade textile garments (both knitted and wove), jute, jute-made products, frozen shrimps, tea are the main goods that Bangladeshi exporters exports to foreign countries. Garments Sector is the largest sector that exports the lion share of the country’s export. Bangladesh exports most of its readymade garments products to USA and European Community (EC) countries. Bangladesh exports about 40 % of its readymade garments products to USA. Most of the exporters who export through Dilkusha Corporate Branch are readymade garment exporters. They open L/Cs in this branch to export their goods, which they open against the import L/Cs opened by their foreign importers. The export trade of the country is regulated by the Imports & Exports (Control) Act, 1950. There are a number of formalities that an exporter has to fulfill before and after shipment of goods. These formalities or procedures are enumerated as follows 1. Export Registration Certificate (ERC): The exports from Bangladesh are subject to export trade control exercised by the Ministry of Commerce through Chief Controller of Imports & Exports (CCI&E). No exporter is allowed to export any commodity permissible for export from Bangladesh unless he is registered with CCI&E and holds valid ERC. The ERC is required to be renewed every year. The ERC number is to be incorporated on EXP (Export) Forms and others documents connected with exports. xv) Sector (public or private) under which the exporter fails. 3. Securing the Order: Upon registration, the exporter may proceed to secure the export order. This can be done by contracting the buyers directly through correspondence. 4. Signing of the Contract: While making a contract, the following points are to be mentioned: a) Description of the goods; b) Quantity of the commodity; c) Price of the commodity; d) Shipment; e) Insurance and marks; f) Inspection, and g) Arbitration. 5. Procuring the Materials: After making the deal and on having the L/C opened in his favor, the next step for the exporter is set about the task of procuring or manufacturing the contracted merchandise. 6. Registration of Sale: This is needed when the proposed items to be exported are raw jute and jute-made goods. 7. Shipment of Goods: The following documents are normally involved at the stage of shipment: (a) EXP From, (b) photocopy of registration certificate, (c) photocopy of contract, (d) photocopy of the L/C, (e) customs copy of ERF Form for shipment of jute-made goods and EPC Form for raw jute, (f) freight certificate from the bank in case of payment of the freight if the port of lading is involved, (g) railway receipt, berg receipt or truck receipt, (h) shipping instructions, and (i) insurance policy. If the exporter wants the L/C to be transferable, advisable, he should ensure those stipulations are specially mentioned in the L/C. At last, the exporter submits all these documents along with a Letter of Indemnity to the branch for negotiation. An officer scrutinizes all the documents. If the documents are clean one, the branch purchases the documents on the basis of banker-customer relationship. This is known as Foreign Documentary Bill Purchase (FDBP). xiv) Initial, due date, date realized, bank charges recovered with remarks. b. If the exporter is a new client. The banker is in doubt. Income A/C profit on Exchange———————–Credit. After passing the above vouchers, an Inter Branch Exchange Trading Debit Advice is sent for debiting the NOSTRO account. EBL has 17 NOSTRO accounts with its reimbursing bank An FDBC Register is maintained, where first entry is given when the documents are forwarded to the issuing bank for collection and the second one is done after realization of the proceeds. ILC means L/C within the same country. This type of L/Cs are opened when seller does not believe the buyer though they are in the same country and also in the cases where the sales contract is of a big amount. BASIC Bank Mirpur branch has couple of ILC. Deferred Payment Credit: In deferred payment, the bank agrees to pay on a specified future date or event, after presentation of the export documents. No bill of exchange is involved. In BASIC, payment is given to the party at the rate of D.A 60-90-120-180 as the case may be. But the Head office is paid at T.T clean rate. The difference between the two rates us the exchange trading for the branch. Negotiation Credit: In Negotiation credit, the exporter has to present a bill of exchange payable to himself in addition to other documents, that the bank negotiates. Test key arrangement is a secret code maintained by the banks for the authentication for their telex messages. It is a systematic procedure by which a test number is given and the person to whom this number is given can easily authenticate the same test number by maintaining that same procedure. BASIC has test key arrangements with so many banks for the authentication of L/C messages and for transfer of funds.